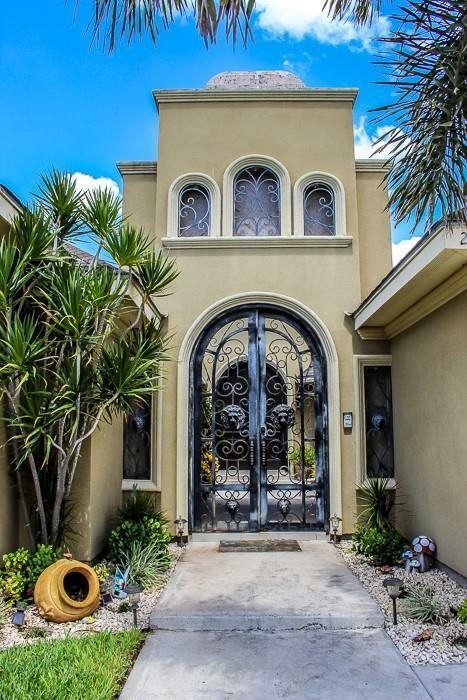 Enjoy touring this darling home in North McAllen! 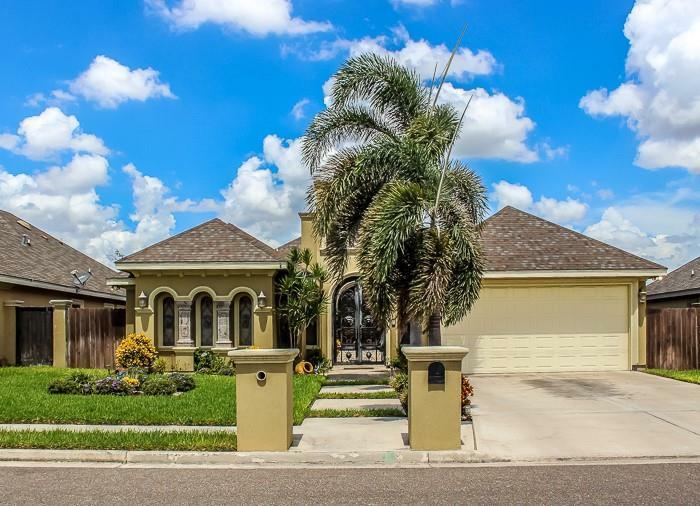 This neighborhood feels like a vacation community, while only being minutes away from great schools, parks, libraries, and UTRGV. 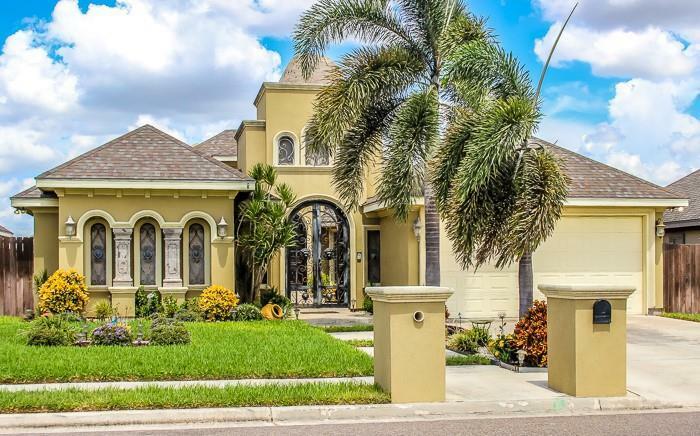 Surrounded by beautiful landscaping this home features, a front courtyard, beautiful extended foyer and unique high decorative ceilings and lighting. As you enter you are warmly welcomed by the decorative foyer and the formal living area perfect for relaxing. The kitchen boasts stainless steel appliances, custom built-in wooden cabinets, granite countertops and a central eat-in kitchen Island. Features split bedrooms, a master bedroom with high decorative ceilings, a walk-in closet with built-ins, private commode, and separate shower. The backyard is private and perfect for family and friend gatherings. Don't let this sweet opportunity pass by! (Buyer agents please be sure to read agent remarks).